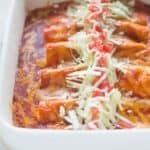 Hi Lauren, was wondering if these enchiladas could be made ahead and frozen, and if so, before or after baking? Thanks! Excited to try these! Yes that would work. Freeze for up to 2-3 months. Bake from frozen for about 1 hour, covered, at 350 degrees F. Uncover and bake an additional hour or so, until hot and bubbly. If you wanted to add chicken, how much would you add? Funny thing, I’ve always made my enchiladas the same way, I just garnished them differently. I replicated my favorite cheese enchilada from the local restaurant where I grew up. It was easy and so tasty. I never actually thought about it being authentic at all! I’m glad you shared your recipe because now I can point to a website and show people that I actually was making them the correct way all along! Well done! 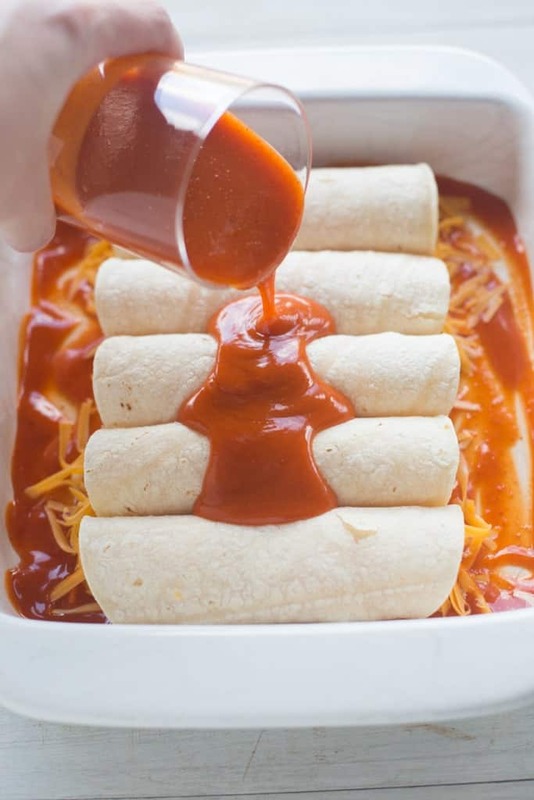 This enchilada sauce is the best! Definitely beats any store brand we have tried. We are from Texas and ground meat in the enchilada sauce is a huge thing here. Do you have any tips on how to best incorporate the meat into the sauce? Yum! I would just brown the meat at the beginning, before making the rest of the sauce. Great sauce! I’m on a project on the Congo river (Africa) – tortillas are scarce here (as is cheddar). To make every square inch of tortilla count, and to share the wealth with the team, we make a layered enchilada casserole. To your awesome sauce, we add canned corn(drained), finely diced garlic and onions to the sauce. In a 9×13 casserole, we layer the sauce, tortillas (about 3 tortillas pieced together flat to cover the area), more sauce, cheddar; repeat twice more, ending with cheese on top. We’re not rolling the tortillas, so we don’t need to preheat or oil them. 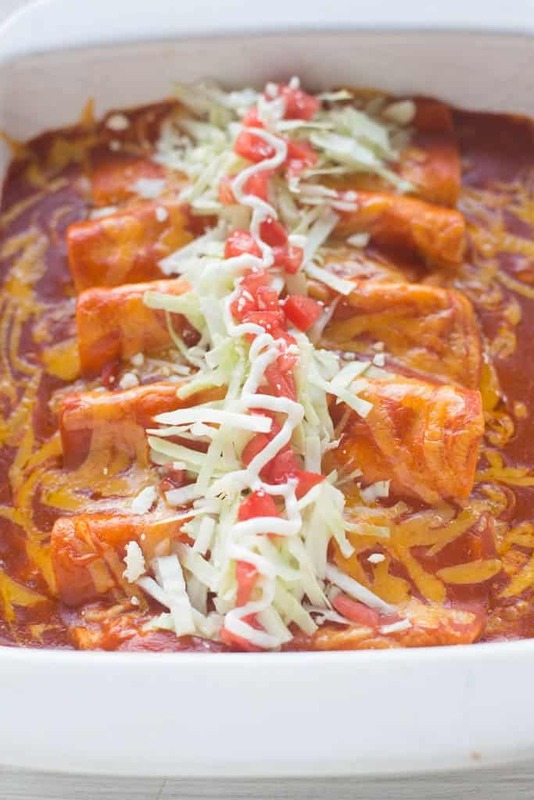 It takes only 9 tortillas to make a full 9×13 enchilada platter, so when someone arrives on site with 30 tortillas in their backpack, we can get 3 enchilada dinners out of it. “Muito obrigada” for the sauce recipe – we never have leftovers. Hi!! 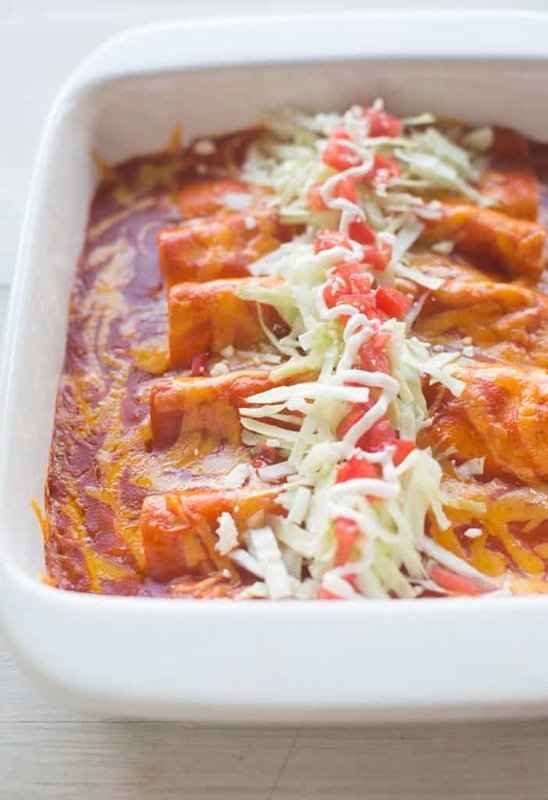 I have used a few of your recipes before and just logged on to get the cheese enchilada one for tonite when I saw you said your hometown was Park City! Me too! We moved back to Austin when I was diagnosed with bone marrow cancer, as my kids were in school here and elderly mom was as well….but have been healthy for 11 years so we talk daily about moving back to PC. We miss the mountains fiercely! Just wanted to thank you for you blog, recipes ! !